SINGAPORE, 2 August 2018 – Canon, today announced the launch of two new CanoScan photo scanners. The CanoScan LiDE400 and CanoScan LiDE300 continue to set design and productivity benchmarks for consumer flatbed scanners by combining incredibly compact profiles with fast scanning speeds, and delivering versatile solutions for home and office workstations. Equipped with a contact image sensor (CIS), the CanoScan scanners draw its light source from a low-power light emitting diodes (LED). Hence, the new CanoScan scanners come to life swiftly over a single USB connection to a computer. 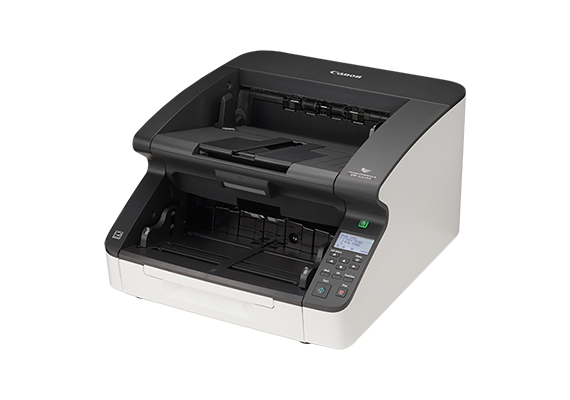 Not only do the scanners require virtually no warm up time, it takes just 8 seconds and 10 seconds to complete a colour A4 document scan on the CanoScanLIDE400 and the CanonScan LiDE300 respectively. Complementing this efficiency is Canon’s Auto-Scan mode that intelligently recognizes different types of originals during scanning, before automated scan-and-save settings to maximize image quality, contrast, and content legibility automatically. Both devices also support Optical Character Recognition (OCR) to capture text on documents to a high degree of accuracy. The CanoScan LiDE400 has a maximum optical resolution of 4800 x 4800dpi, and creates an additional space-saving advantage by supporting operation in two positions - an upright standing, as well as a horizontal orientation. The CanoScan LiDE300 features a maximum optical resolution of up-to 2400 x 4800dpi, more than capable of delivering high resolution scans of photos and documents. The new CanoScan LiDE scanners feature integrated ‘EZ’ buttons that enables users to easily access the scanner’s function for convenience and workflow productivity. With the Scan to PDF buttons on the scanners, the process of digitizing multi-page documents minimizes the number of user interactions with client-side software, making the process fast and easy despite the lack of a built-in document feeder tray. The new CanoScan LiDE scanners can scan large document stacks without the need for staple removal - thanks to an Advanced Z-lid design that allows an extension of the scanner lid up to 21mm in height. With the bundled software’s Gutter Shadow Correction feature, even darkened shadows captured along the spine between two pages of a book can be automatically removed, further optimizing image appearance. Canon is a global leader in photographic and digital imaging solutions. Canon Singapore Pte Ltd is the headquarters for South & Southeast Asia driving sales, marketing and service strategies. Besides handling the domestic market, the company leads 18 other countries including subsidiaries in India, Malaysia, Thailand and Vietnam. The parent company Canon Inc has a global network of more than 300 companies and employs close to 200,000 people worldwide. It is dedicated to the advancement in technology and innovation and commits about 8% of its total revenue each year to R&D. Canon is consistently one of the top few companies to earn the most number of patents over the last 20 years. As a Fortune Global 500 company, Canon is guided by its kyosei philosophy that focuses on living and working together for the common good.